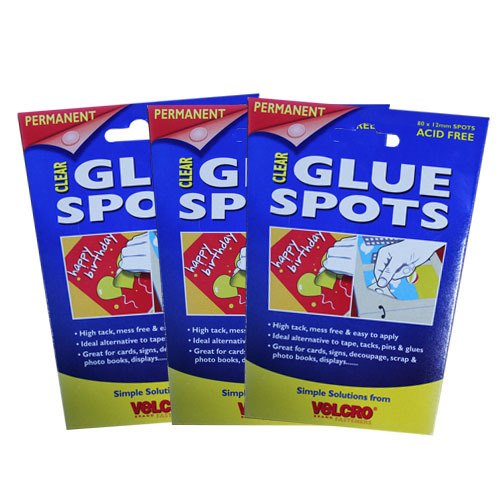 A clean, safe and easy to use alternative to tacks, glues, sticky tapes and pins. 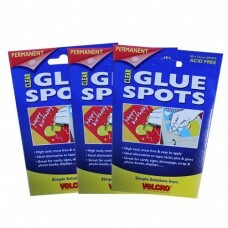 VELCRO brand Clear Glue Spots are UV resistant so can be used in windows and are non-toxic and acid & lignin free. 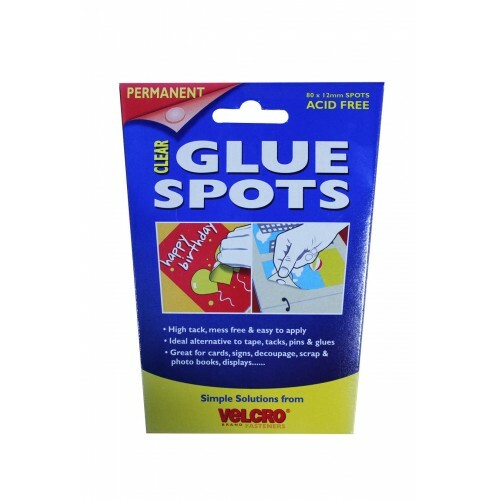 Clear Glue Spots are suitable for many projects and applications from sticking up posters and decorations to scrap-booking and decoupage.